Could GovCon see at least one more blockbuster merger-and-acquisition deal in 2015? One week after Aerojet Rocketdyne’s $2 billion bid for the United Launch Alliancewas rejected, the propulsion technology maker may still be charting course in its pursuit for the Boeing-Lockheed Martin joint venture. 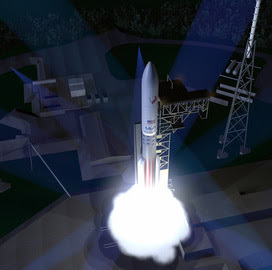 A Reuters report posted Thursday night says Aerojet’s parent company is exploring options for a potential acquisition of ULA and is considering whether to increase its offer for the Colorado-based joint venture that launches payloads for government agencies on heavy-lift rockets. If the bid is successful, a combination of Aerojet and ULA would be formidable in a crowded launch market with new entries such as Elon Musk’s SpaceX outfit. Boeing and Lockheed formed ULA as a 50-50 joint venture in 2006 and the business ranks 19th in Bloomberg Government’s 2015 list of GovCon’s top 200 vendors. This latest development surfaced in the same week that ULA unveiled more details on its future “Vulcan” rocket and the industry partners that will participate in the venture’s push to build a heavy-lift platform with U.S.-made components only. 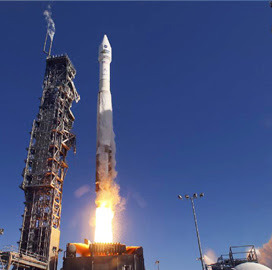 From 2019, Orbital ATK will be the sole manufacturer and supplier of Vulcan’s solid boosters and will succeed Aerojet as provider of motors to ULA for the currently used Atlas V rocket. 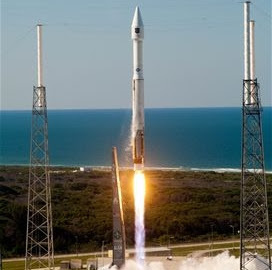 ULA first unveiled Vulcan in April and said Amazon.com founder Jeff Bezos’ Blue Origin startup would build a U.S.-made engine to replace the Russian RD-180 that powers Atlas V.
We also learned this week that the Office of Personnel Management has revised its original estimate of how many sets of federal employees’ fingerprints were stolen in the April hack on OPM’s information systems. 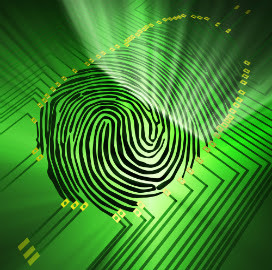 OPM now says more than 5.6 million fingerprint sets were compromised in that breach, a nearly fivefold increase from the agency’s original estimate of 1.1 million sets. With this backdrop in mind, we are looking forward to the Potomac Officers Club’s 2015 Cybersecurity Summit on Oct. 15 with Navy Adm. Michael Rogers, head of the National Security Agency and Cyber Command, lined up as the headline speaker. 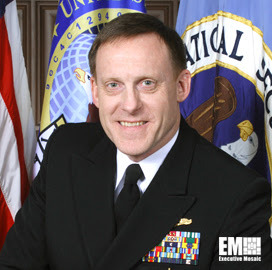 Rogers took the helm of NSA and Cybercom in April 2014 and will offer executive attendees an update on the military’s cybersecurity efforts and his work with other parts of government to shore up U.S. computer networks. Click here to sign up for this important and timely event, as well as to view POC’s full calendar. 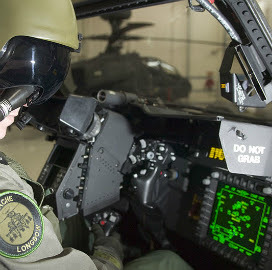 Japan and South Korea have also cleared Lockheed Martin’s move to buy the helicopter maker from United Technologies Corp. for $9 billion and the deal . 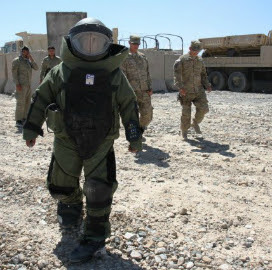 Contractors will compete for task orders to perform research-and-development work with the goal to help counter asymmetric threats. GSA’s Federal Systems Integration Management Center runs this contract and issued the award through the OASIS professional services vehicle. 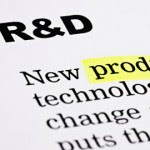 This set of more than $140 million in task order contracts expands the reach of DHS’ continuous diagnostic and mitigation program to 17 agencies. 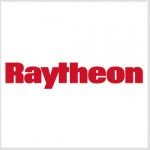 Raytheon will also operate the National Cybersecurity Protection System’s cyber tools under the Development, Operations and Maintenance program. 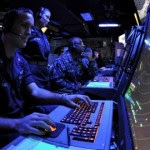 The Navy plans to recompete the potential five-year, $3.43 billion NGEN contract awarded to HP that is scheduled to expire in June 2018. 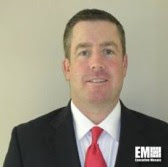 Carroll also discusses the company’s secure services line of business in the intelligence community with ExecutiveBiz. 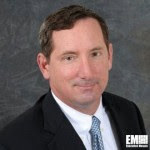 The nearly 20-year GovCon veteran will lead an organization that represents the secure identity and biometric technology sectors. 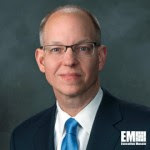 The former Lockheed Martin CTO will serve as a director for the provider of three-dimensional hole scanning and imaging services. 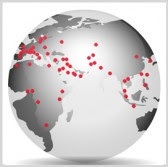 DigitalGlobe will continue to provide its satellite imagery services to NGA and other unclassified and classified government users for additional year. OMB told agencies to review legal requirements and ongoing programs in case government funding runs out Sept. 30. The Air Force’s top civilian official says a continuing resolution would force the branch to delay about 50 programs. 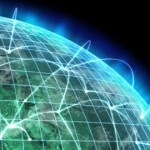 DoD’s chief information officer calls cybersecurity “completely ubiquitous” in military functions in speech to the Billington Cybersecurity Summit. 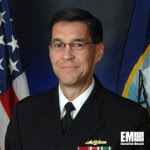 Johnson will hold the title of principal military deputy to the assistant navy secretary for research, development and acquisition. Click the headline link to view the full list of potential new roles for Ricardo Aguilera, Janine Davidson, Lisa Disbrow, Eric Fanning and Jennifer O’Connor. 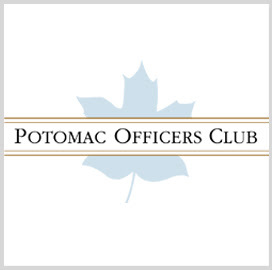 The Potomac Officers Club’s “CIO Speaker Series” for the summer and early fall of 2015 concluded Thursday in Falls Church, Va. with a look at the General Services Administration and its role in acquisitions for federal agencies. Event number five took place under the theme of “Innovation in Acquisitions” and focused on GSA’s current initiatives to acquire information technology and professional services, help agencies keep pace with rapidly changing technologies and how industry can work closer with GSA to make large, long-term programs work. 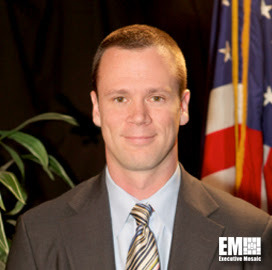 Chris Hamm, who leads GSA’s FEDSIM organization, gave the keynote address to the GovCon and government executive audience and offered insight into his organization’s work with other agencies to use different contracting methods to drive outcomes and speed up acquisitions. Hamm offered our site ExecutiveGov a preview of his agenda in the leadup to the event and you can read a summary of our chat with him in this story posted Tuesday. The event transitioned from the keynote to a four-person panel of GSA officials that featured Hamm with Michael Donaldson, FEDSIM’s director of defense enterprise services; Kristen Knapper, FEDSIM’s civilian services director; and Jim Ghiloni, GSA’s professional services program management executive. GovCon Wire, a sister site of ExecutiveGov, has the major talking points from that conversation in this recap of Thursday’s event here.